Nearly finished now! 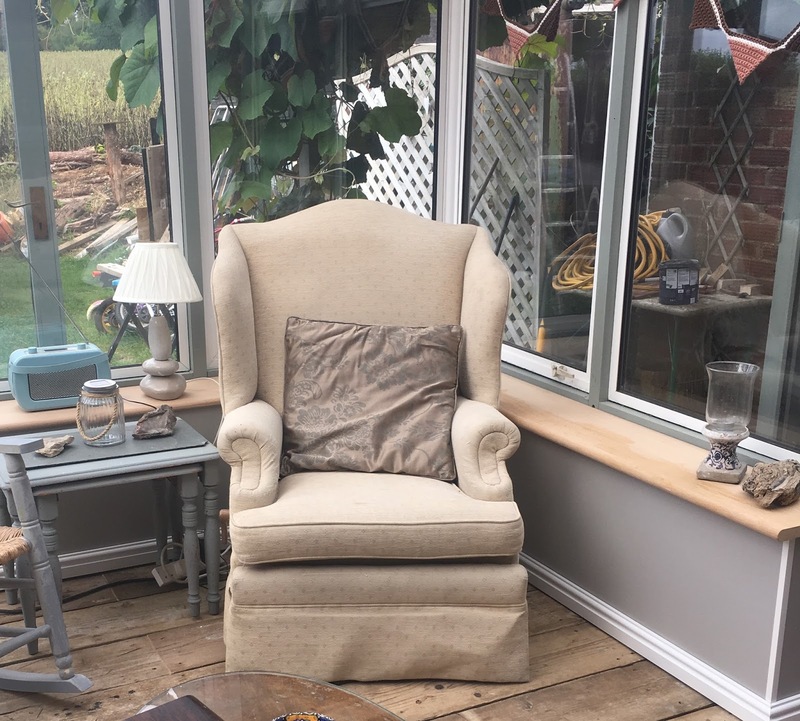 How we extended our home with a free pre-loved conservatory. 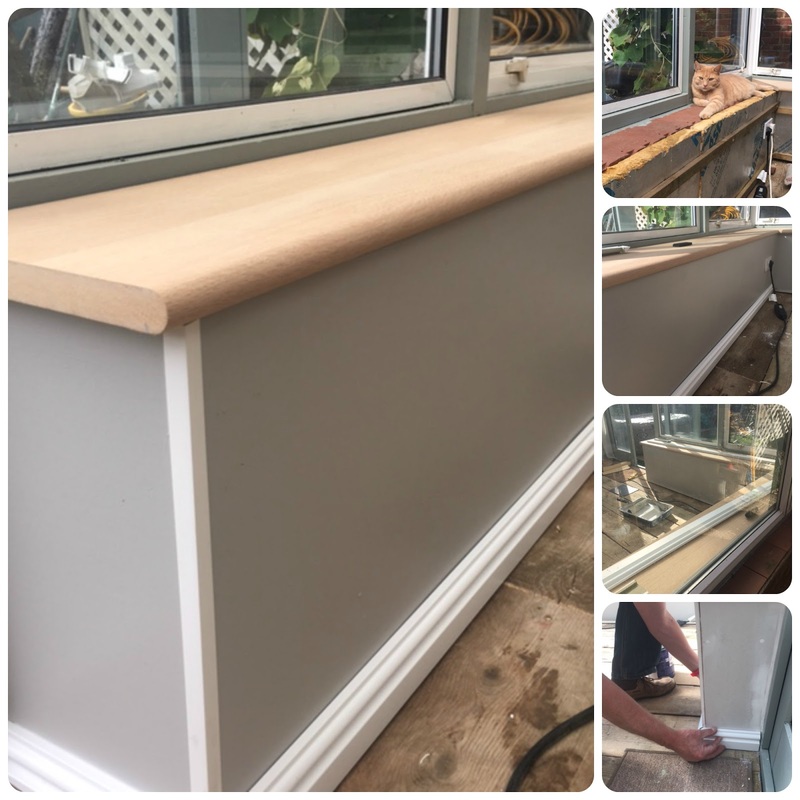 It's the finishing touches which really make the difference we realised after finally adding plasterboard, windowsills and skirting board onto the walls of our mammoth building project. This has been a really long road (you can read why here) so you can imagine how excited we are to have finally covered up the grey breeze blocks and terracotta tiles which the windows stand on. The walls look clean, modern and smart with the ready-painted skirting board and the beautiful wide American white oak veneer windowsills from The Skirting Board Shop give me plenty of room to display my vintage treasures. 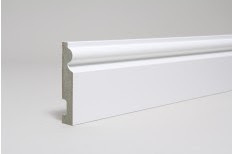 My husband said fixing the sills and skirting board was simple and he was very impressed with the quality of both. He used plasterboard to cover the walls and I painted the plasterboard in Dulux Misty Mountain - a soft grey colour which picks up tones in the wooden floor he made using scaffold boards. I love my new room and have set up a corner with my DAB radio and a comfortable chair to use as my blogging corner and my refuge when the children want to watch TV or play with one of their gaming consoles in the living room. The other side of the extension is our new dining area - we fit a table in which comfortably seats 6 and can seat 8. We are so lucky that our friend offered us her old wooden conservatory but it's very cheap and easy to pick them up if you want to create extra space for your home. You do need to check local regulations on planning and building before buying or rehoming a conservatory, especially if your home as already been extended. Check Ebay, social media selling sites and local recycling sites or put up your own request on these sites. You may get what you want for free on the proviso that you dismantle and take away the conservatory - this is what we did. Otherwise you can pick up a second hand conservatory for around £100-200 although you may have to travel a distance to pick one up. Check and double check your measurements. You don't want to start digging foundations and building only to find your second hand conservatory is 5cms too big. 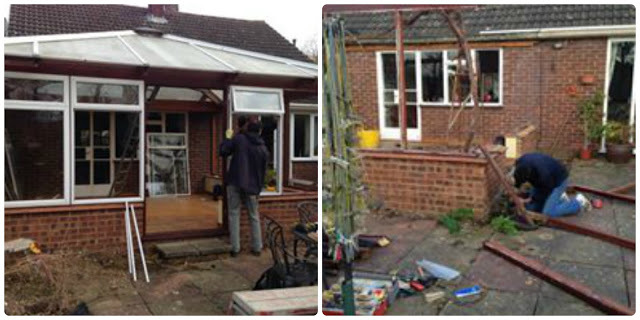 Deadlines for picking up are often tight as sellers/donors are often having new building work done (this was the case with ours) so it's worth having a team of friends (and a large van/lorry) on standby to help dismantle and load your conservatory/garden room. However it is a lot cheaper than buying a brand new one but be sure to check the conservatory is watertight and that a wooden one is not completely rotted before accepting it! Don't forget any electrical work either has to be done or checked by a registered & licenced electrician. It has taken years, a lot of effort and a few tears to get to the point we are at today where I am sitting in our extension enjoying the sunshine and the space. At times I wish we had never started the project but I am glad we persevered. It truly has added so much to our home and the way we use it. 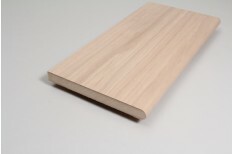 Disclaimer: We received free skirting board and windowsills from The Skirting Board Company. Views and opinions remain honest and our own. We most definitely would recommend this company!